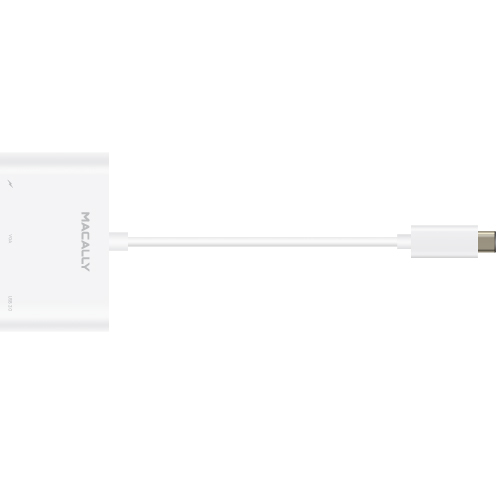 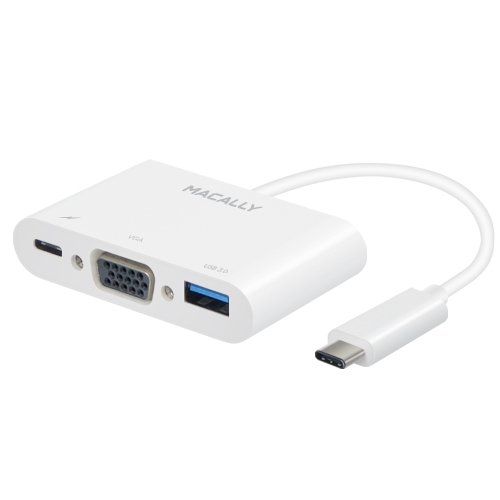 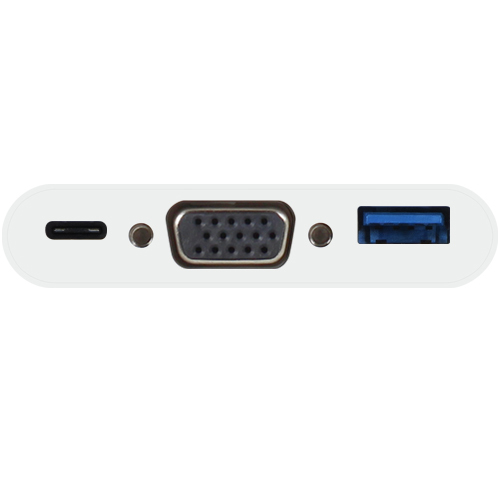 The Macally UCVGA is a convenient 3 in 1 multiport adapter that allows you to connect your TV, monitor or projector with VGA and your existing USB devices to your MacBook, while keeping it fully charged, through the USB-C port! 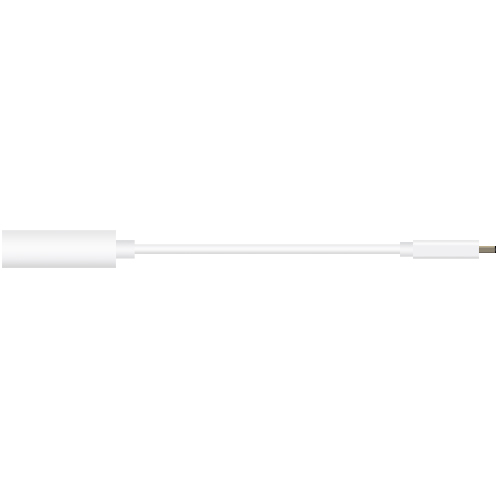 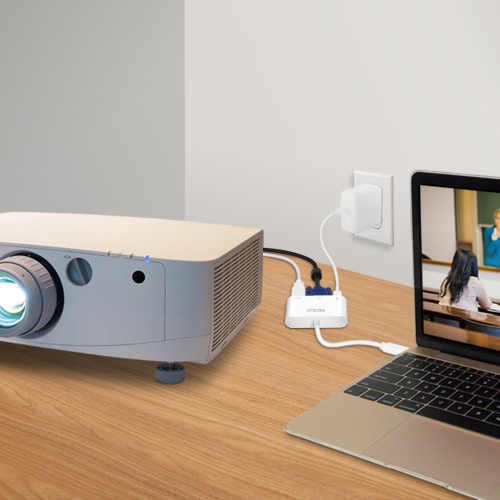 Connect your TV, monitor and projector with VGA input to your MacBook for the best video quality! 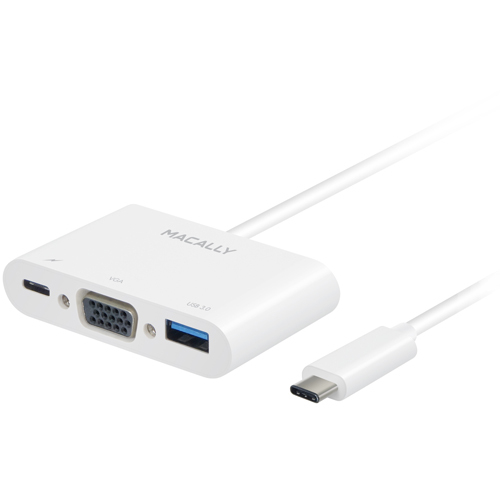 The Macally UCVGA supports a video resolution up to 1080p!